Analysts at Goldman Sachs are saying that it is next to impossible for stock prices to keep going up like they have been recently. Ever since Donald Trump’s surprise election victory in November, stocks have been on a tremendous run, but this surge has not been matched by a turnaround in the real economy. We have essentially had a “no growth” economy for most of the past decade, and ominous signs pointing to big trouble ahead are all around us. The only reason why stocks have been able to perform so well is due to unprecedented intervention by global central banks, but they are not going to be able to keep inflating this bubble forever. At some point this absolutely enormous bubble will burst and investors will lose trillions of dollars. Investors may be in for disappointing market returns in the decade to come with valuations at levels this high, if history is any indication. Analysts at Goldman Sachs pointed out that annualized returns on the S&P 500 10 years out were in the single digits or negative 99 percent of the time when starting with valuations at current levels. Do you really want to try to fight those odds? Furthermore, according to a June survey from Legg Mason, nearly 80% of millennial investors plan to take on more risk this year, with 66% of them expressing an interest in equities. About 45% plan to take on “much more risk” in their portfolios. One of the fundamental tenets of investing is to buy low and sell high. Those that are getting in at the peak of the market are going to get absolutely slaughtered. 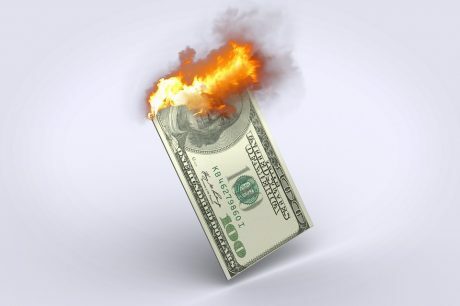 Trillions of dollars of paper wealth will be completely wiped out by the coming crash, and I wish that I could get more people to understand what is about to happen. The best-selling author expects the next financial crisis to be the “worst” he has ever seen. “We’ve had economic problems in the U.S. or in North America every four to eight years since the beginning of the Republic so to say that we’re going to have a problem is not unusual,” he told Kitco News from the Freedom Fest conference in Las Vegas. What goes up must come down, and markets tend to go down a whole lot faster than they go up. I think it’s better to turn cautious too soon (and thus perhaps underperform for a while) rather than too late, after the downslide has begun, making it hard to trim risk, achieve exits and cut losses. Perhaps this will be the first giant financial bubble in our history to end smoothly, but I wouldn’t count on it. In the end, I expect this one to end just like all of the others. And I anticipate that the coming crisis will ultimately be worse than anything we have ever faced before because this current bubble has been artificially inflated for so long. Hopefully stock prices will go up again tomorrow, but it would be exceedingly foolish to ignore all of the warnings. Goldman Sachs says that there is a 99 percent chance that stocks cannot continue surging like this, and in this case I believe that Goldman Sachs is entirely correct. This article was posted in 2017, Absurd Stock Prices, Buy Stocks, Buying Stocks, central bank, Central Banks, Financial, Financial assets, Financial Crisis, Financial Crisis Of 2017, financial markets, Financially, Global Stock Market Crash, Global Stock Markets, investing, investor, investors, Stock Market, Stock market Bubble, Stock Market Bubbles, Stock Market Collapse, Stock Market Crash, Stock prices, stock trading, stocks and tagged goldman sachs. Bookmark the permalink. Follow comments with the RSS feed for this post.Comments are closed, but you can leave a trackback: Trackback URL.